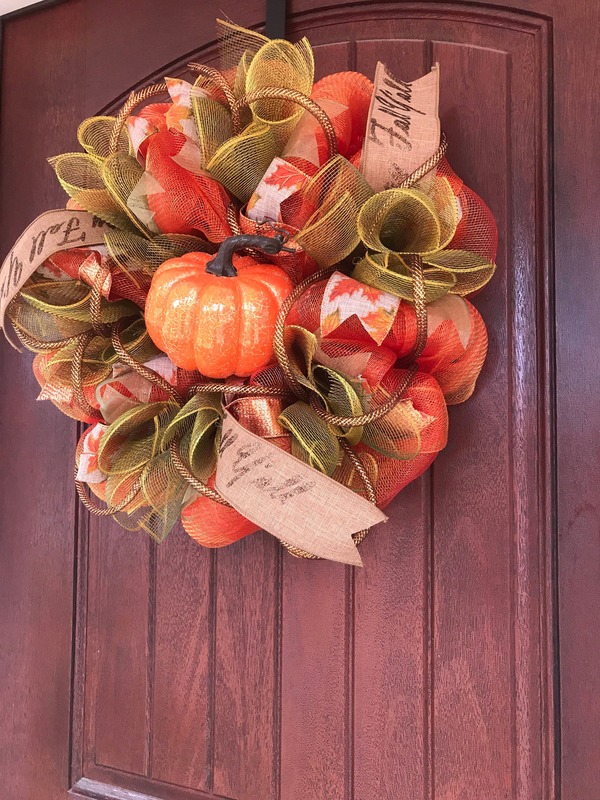 Decorate for Fall with this cute wreath. 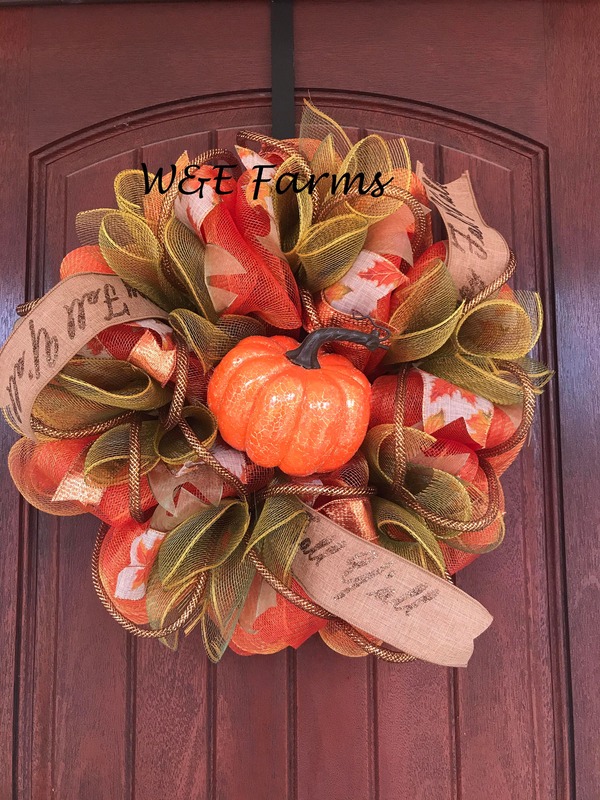 Made with deco mesh, deco tubing, ribbon, & a plastic pumpkin. 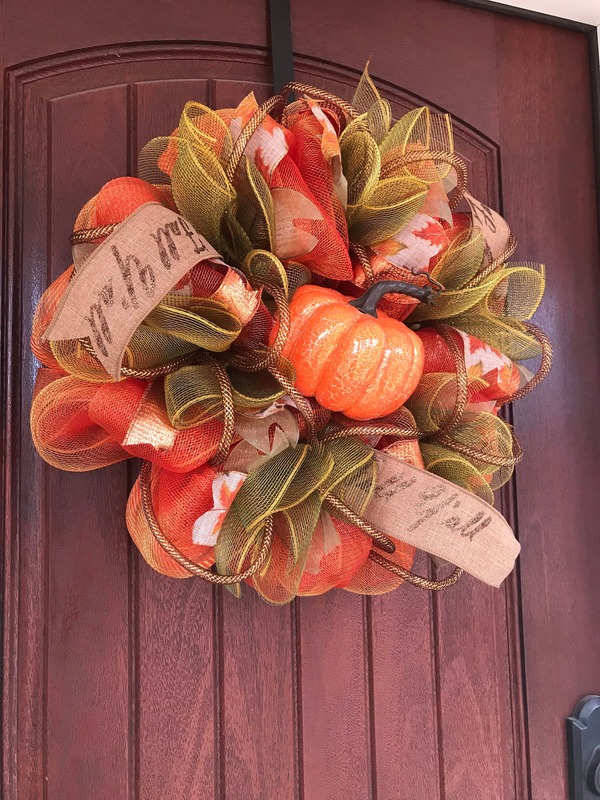 This wreath measures approximately 20 inches across.